Students interested in the field of nanotechnology should know about the top characteristics of the best nanotechnology colleges, in order to make an informed decision on which program to attend. Graduates from the top nanotechnology colleges are able to apply their specialized training to develop solutions to real-world challenges. Students are exposed to learning in both classrooms and labs to gain hands-on experience with the technology they will use within the field of nanotechnology. The university offers students access to the newest cutting-edge, ground-breaking technology through advanced classroom and lab environments. Students can work with industry partners to facilitate a real-world learning environment and foster internship and/or work-study programs. Universities host a series of leagues or challenges in math, science and engineering where students combine academics with entrepreneurship to compete against other universities. Students join clubs and organizations that focus on their interests in nanotechnology. These clubs introduce students to the field of nanotechnology and how it impacts industries, such as medicine, manufacturing and information technology. 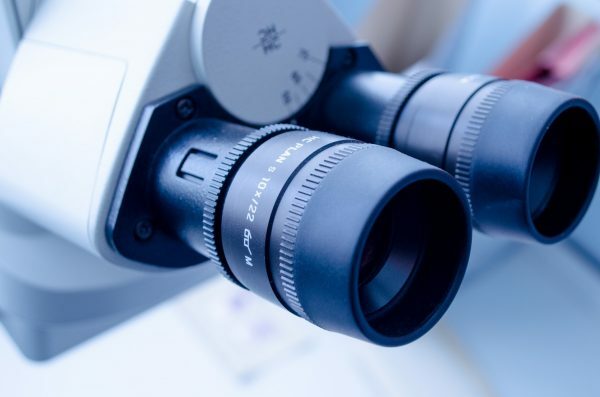 The top nanotechnology programs allow students to connect with academic and industry leaders in the field to collaborate with and expand their knowledge in the field. Distinguished faculty with varied backgrounds and industry experience who apply their expertise to teach students. Accomplished scientists, engineers and scholars build an inspiring learning environment and discover solutions to critical problems. Students have the opportunity to enroll in tutoring or mentoring programs to help understand concepts in nanotechnology. Top nanotechnology programs offer students the opportunity to volunteer on various projects related to the field directly through the program, indirectly through extracurricular activities or by helping non-profit organizations. Nanotechnology programs implement courses that teach students how to use the latest state-of-the-art technology and equipment properly. Top nanotechnology colleges prepare students with an education on the latest technologies, hands-on training in software development and the critical thinking skills to turn their ideas into innovative solutions. Students will gain insight on advancements within the field of nanotechnology from faculty and visiting industry leaders who will discuss their company’s latest developments in nanotechnology. Offer courses to educate students on the history of nanotechnology, its extensive impacts and projections for the future. Top nanotechnology programs participate in regional, national and global competitions that integrate the principles taught in nanotechnology courses. Through these events, top schools provide ways for students to apply their studies in real-world scenarios. Students have the opportunity to access academic and research facilities in a laboratory setting where they are encouraged and empowered to explore their scholarly potential independently with minimal restrictions. Whether it is working for a charity, engaging in a club or playing intramural sports, students need activities to connect with one another outside of the classroom. Students need access to a career center where experts can help connect their academic experience to their career path within the field of nanotechnology. Career services should work with industry partners to help students prepare for today’s highly competitive job market. At top nanotechnology universities, students have the ability to learn from faculty, staff and industry leaders through public meetings and university-hosted events, where they can share their opinions and influence university policy. Universities implement wellness programs to insure that students and alumni are learning and living to the best of their abilities in a healthy manner. Top programs actively support the mission of campus health centers to ensure the well being of each student. Top nanotechnology programs implement a bring-your-own-device philosophy that makes it convenient for students to bring their own technology on campus. A well-planned BYOD policy extends the learning environment beyond the classroom and allows students to work efficiently as they pursue their education. 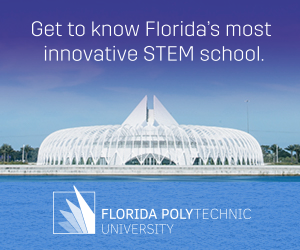 Florida Poly, Florida’s newest STEM-focused university, has designed their nanotechnology concentration to provide the tools, skills and knowledge for students to lead the sector upon graduation. If you are interested in learning more, please visit our mechanical engineering degree page.